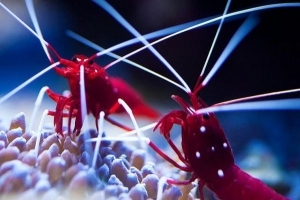 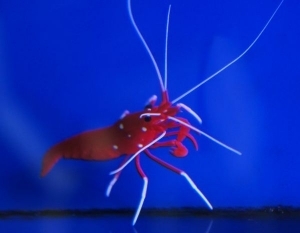 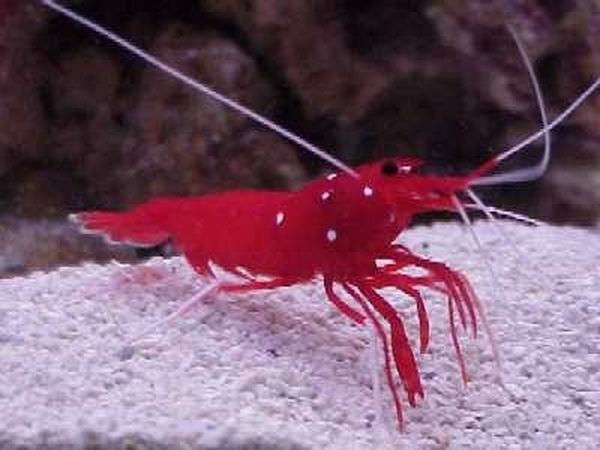 The Blood Red Fire Shrimp, also known as Blood Shrimp, Fire Shrimp, or Scarlet Cleaner Shrimp, is one of the most popular shrimp in the aquarium hobby. It has a blood-red body with white spots and long white antennae. 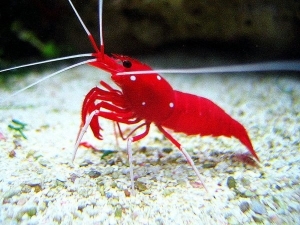 Depending on which region of the Indo-Pacific from which it originates, it may have the white dots just on its carapace, or covering its entire body.